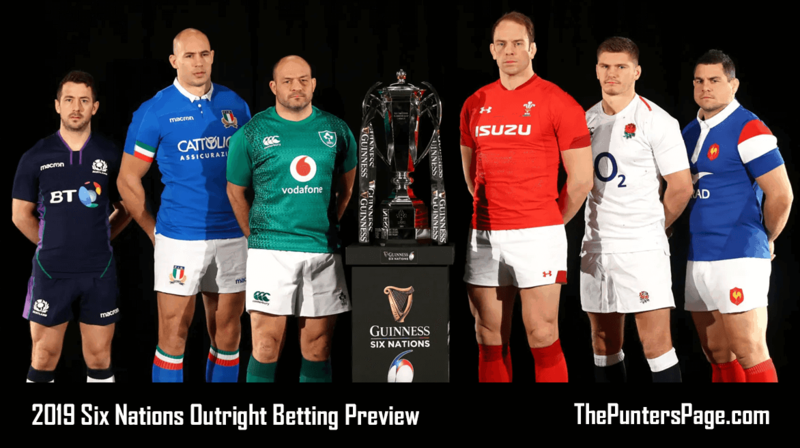 Ahead of the 2019 Six Nations, rugby enthusiast Marcello Cossali-Francis (@marcello95cf) runs us through the outright market and provides us with his best bets. The 2019 edition of the Guinness Six Nations begins this weekend, as holders, Ireland, look to regain their crown in World Cup year. The Irish, lead by Head Coach, Joe Schmidt, begin as strong favourites to win the tournament for the fourth time in six years at 5/6 (best price), whilst they are also favourites for the Grand Slam (winning all five games) at 23/10 (best price). England and Wales are next in the running to win the competition at 7/2 and 5/1 respectively, whilst Scotland and France are out at 16s and 18s. Italy are priced at 1000/1 to win, which even to those who love long odds, is not worth looking at. As I have already mentioned, the odds pretty much represent what you need to know. Ireland are ranked second in the world at the minute and have won 11 of their last 12 test matches and won the Grand Slam last year. They also beat World Champions, New Zealand, in November and look the best bet to knock the All Blacks off the number one spot in the World Cup later this year. The blend of exciting youth and experience makes them, arguably, the best in the world. At 5/6 they are not really worth backing to win the tournament and the 23/10 available for them to win the Grand Slam doesn’t look particularly appealing, especially as England have returning players coming back into the side and they have to travel to Cardiff to play Wales on the final day of the tournament. In terms of an outright bet, the prices on England and Wales appeal more from a value point of view. England were unfortunate not to beat the All Blacks in the autumn, losing by a single point in controversial style and did beat Australia and South Africa in November. England seemed to have recovered some of their post 2015 World Cup form and usually are in contention for the title. They have to play Ireland and Wales away from home this year, however, but the 7/2 available on them to win the tournament looks appealing, given the Grand Slam looks extremely difficult this year. Wales at 5/1 is also a good bet and the fixture list favours them to get off to a good start. The first game away in Paris will be difficult but the Welsh have a brilliant record against France over the last decade. Italy are up next, which should be comfortable and then Warren Gatland’s men have the two toughest games, Ireland and England, in Cardiff at the Principality Stadium, which is always favourable. Wales are currently on their longest winning run under Gatland, which stretches over nine games, including a clean-sweep in the autumn over Scotland, Australia, Tonga and South Africa. As for Scotland and France, their history in the Six Nations in recent years suggests it would be a huge shock if one of them were to win the competition. France’s policy of changing players every year never helps and despite them being capable of performances, they rarely turn those in to actual victories over England, Ireland or Wales. Scotland can beat anyone at home, it would seem, but are unable to replicate performances away from Edinburgh. Italy are so far behind the rest, the realistic aim for them will be not to finish bottom of the table. At 12/1 to finish fifth, which would probably require one win and either Scotland or France to flop and lose all five games. However, the recent form of the Italian clubs in the Pro 14 and the European competitions will give the players some form heading into this competition and given they have Scotland up first, we will know how they will do once that game is done. The stats speak for themselves with this one, as I have gone with Ireland’s winger, Jacob Stockdale, who won this accolade last year with a record-breaking seven tries. He has scored seven tries in his 14 International caps so far for Ireland and has 22 tries for Ulster in 46 appearances for the club. He scored the crucial try in the win over New Zealand in the autumn and given how well he performed last year and his sensational try scoring form, at 5/1, he is the obvious choice here. The best thing to look for here is really big odds that can get you some money through each-way winnings. 4 places are being paid for most bookies and what I am going to look at here is a couple of the Italian players, as their best attacking players are priced at three figure odds, due to the fact they are unlikely to score many tries. Michele Campagnaro is the main man for Italy and like Sergio Parisse, he is one player who could shine this year for the Italians. He would need around three tries to gain some each-way money, but at odds of 150/1, it must be worth a couple of quid. Now this is one of the most difficult to call, as it does not always go to a player from the winning team. Since the introduction of the award in 2004, only seven times out of the 14 years, has the winner of the award come from the side who has won the Six Nations. Ireland have had a player win the award in seven of the 14 seasons and given that they are indeed favourites to win the title, you would probably side with a player from within their ranks this year. Jonny Sexton has been named IRB Player of the Year for 2018 and at 6/1, I think he is your best bet for this one. 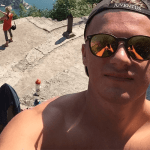 Russel has grown into a world class fly-half on his day and has started his life at Racing 92 in impressive form and is part of a Scottish side that are capable of beating anyone on their day. His flair and attacking quality is enough to light up any tournament and if he guide Scotland to a high-finish then he could be worth a punt. Whilst I think Ireland will end up winning the tournament, I do not think the Grand Slam will be won this year. Ireland are the best team but England and Wales are not far behind them and both sides will be fierce tests for Ireland. Ireland and England meet in the first round of games, which most likely means that one of those sides will be playing catch-up for the rest of the tournament. Wales’ opening fixtures suit them well and providing they come through France and Italy unscathed, they will have plenty of confidence to go into the two big games, both in Cardiff, against England and Ireland. Scotland and France will find it tough to knock those three from the top and Italy will be happy if they can avoid the Wooden Spoon. A very competitive tournament in prospect and the winner will no doubt head into the World Cup in October with bags of confidence.